Have You Heard? 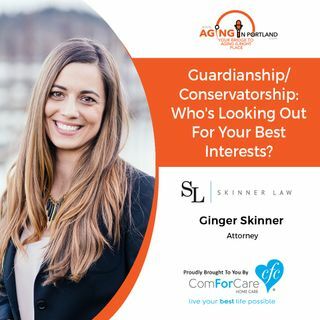 Ginger Skinner of Skinner Law, joins us in our discussion on Guardianships & Conservatorships. WHO is looking out for your best interests? WHO can serve in these positions? WHAT do these terms mean? WHAT are the Pros and Cons? WHAT are the Duties? WHEN are these designations necessary? Ginger's advice will help us navigate this issue!